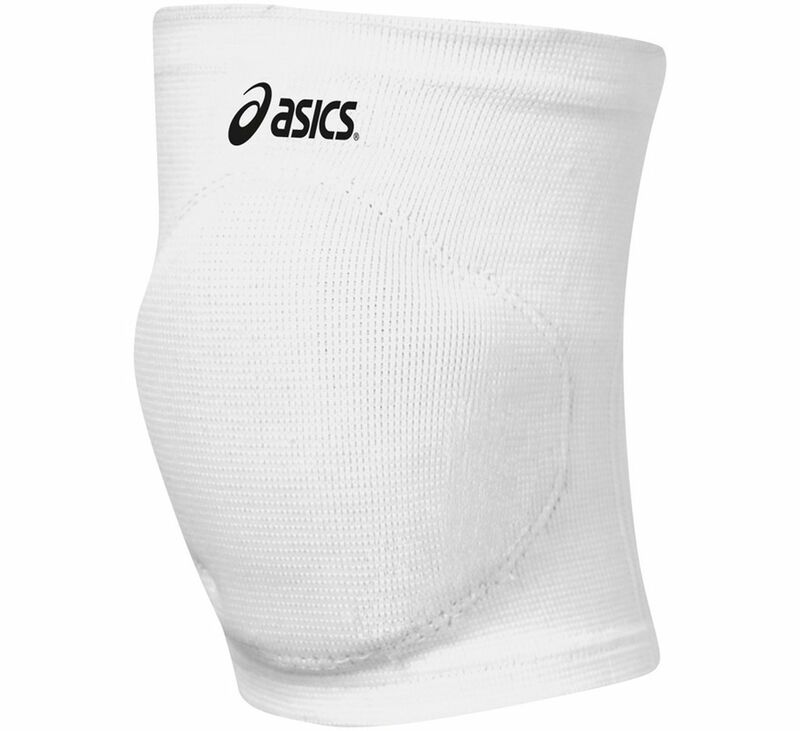 The manufacturer of these knee pads is a Japanese company which goes by the name of ASICS. This company was created in 1949 by Kihachiro Onitsuka who started out by manufacturing footwear for basketball in his living room. In 1977 he changes his companies name to ASICS which is an acronym for the Latin phrase “Anima Sana In Corpore Sano” or “Sound mind in a sound body”. Since then ASICS have become a huge manufacturer for all athletic apparel and accessories and products of this brand can be purchased in stores all over the world. These knee pads are specifically manufactured to be used as a protective measure while playing volleyball. Their design and materials that are used to produce thees pads will prevent any injury that might occur during a volleyball game by reducing the shock your knees get when you are diving, jumping for the ball or doing any other activity associated with playing volleyball. The features of these pads are those of comfort and protection. There are Gel cushioning system on the kneecap part of the pads which will help absorb any blows to your knees as well as will let you play volleyball more confidently because you will know that any shock from a fall will be absorbed by your knee pads. The Ortholite technology and Aeroskin Dry fabrics that are used to make these knee pads will keep your knee pads relatively dry even after the most vigorous of activities and will prevent you pads from developing bad odor during and after using them by letting your skin breathe. The KinetoFoam padding will dissipate any heat that might originate during activities but back panel insert form Mesh fabric will make sure that these knee pads are comfortable to wear, that they fit snug around your knees but at the same time doesn’t limit the range of motion of your knees so you can move freely and still be sure that your knees are protected. And also no latex is used during the production of these knee pads meaning that these knee pads can be worn by those who are allergic to latex or who have experienced problems caused by latex fabric. Although these volleyball knee pads provide great protection against injuries that are caused by falls or other shocks that occur during volleyball game they also are very low profile yet stylish knee pads. You can purchase these knee pads in a pack of two and in white or black color to fit your preferences or your volleyball uniforms. The pads themselves aren’t bulky or uncomfortable providing that you can move freely while wearing them and wear them even if you play volleyball professionally. And even though they are quite short being only 7.5 inches tall they will protect your knees without pressing on the rest of your leg and causing discomfort in your calf or thigh. Because these knee pads are one size fits most they can be purchased only in one size and will definitely fit you if the circumference of your knees at the center of them is anywhere from 12 to 18 inches. Fair warning though at first they might be very tight on your leg even if you have slim legs so you might need to stretch them a little bit so they fit more comfortably. ASICS Competition 3.0G volleyball knee pads that are produced by one of the leading sporting goods manufacturer in the world ASICS are conformable yet suited for professional and amateur volleyball players alike. These knee pads are made from a combination of four materials woven into one durable cloth. Additionally things lake Gel cushioning and Ortholite and KinetoFoam technologies are used to provide that these knee pads are not only easy to wear and you can move freely when they are on your knees but also that they are able to prevent injury by absorbing shocks even if you are diving, jumping, spiking or performing any other signature volleyball move. The come in pairs of two knee pads and you can fit the color of the pads to the colors of your voleyball uniform as they come in black and white variation.